You need to carefully consider the security of your property to help prevent potential intruders and to have peace of mind in your own home. MACO's continuing innovation of such products ensures that you will always be one step ahead in the fight against crime. We at Bahama invest in high quality security MACO products for our windows and doors to give you the confidence that your double glazing will provide you with the best defence against forced entry for years to come, in addition to looking good! MACO has been manufacturing window and door security products for over 65 years, so the quality of MACO products is hard to beat. 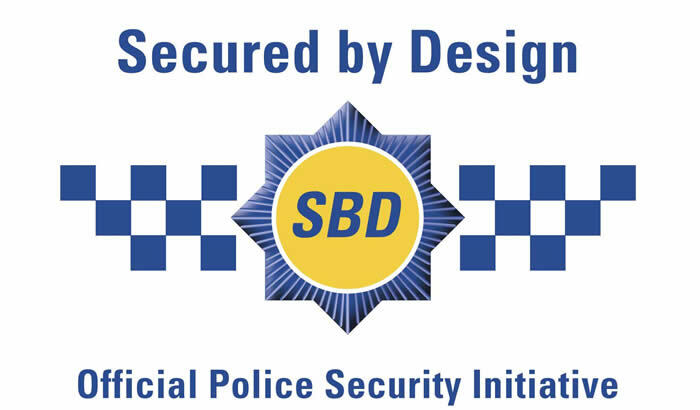 They have undergone stringent security industry recognised procedures relating to security and corrosion resistance; hence they are Secured by Design licensed and BBA Approved. 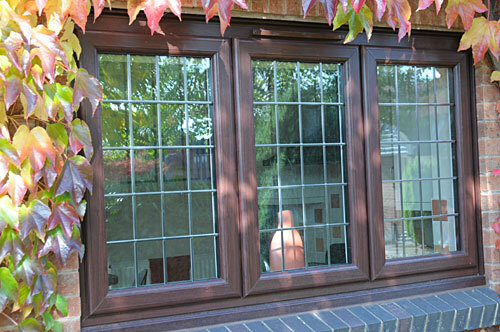 A casement window is attached to its frame by one or more hinges. They can be hinged at the side, top or bottom. MACO Shootbolt Espagnolettes for casement windows provide a strong deterrent against break-in by means of a protruding shootbolt at each end and a combination of IS (intelligent security) locking cams along the length of the gearing. Coupled with specifically designed striker plates that lock the window shut and prevent jamming it open from all directions. 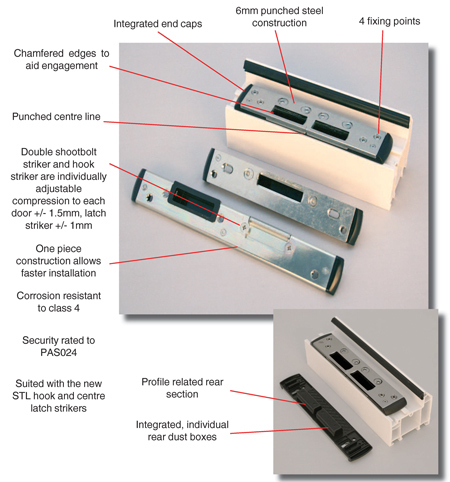 MACO Hinge Protectors used in conjunction with the friction hinges further protect the window against attack. We reserve the right to change specifications without notice. MACO G-TS lift lever door locks that has been specifically designed to maximise the security performance of doors in preparation of the proposed European security standards pr EN 1627 –1630 whilst maintaining a smooth and reliable function. 28, 35 and 45mm back set (other sizes on request up to 65mm). Available with either an 8 or 10mm spindle follower. Top and Bottom shootbolt locking. Maco Easy-Latch with silent latch function. 16mm faceplate as standard. 20mm and U faceplate versions are available on request. Smooth operation as all locking points are operated by the lever handle. Internal handle spring enable the use of any 92mm centred handle sets. Two lengths 2400mm for single doors and 1500mm long for doors that require shootbolts top and bottom. New smooth operation central lockcase. New hook bolt lockcase with a direct drive mechanism for increased strength. New design hook bolt for increased security and compression performance. Cycle tested in accordance with PAS23 to 50,000 full operations. Currently under test to DIN 18251, part 3 to class 3 - 200,000 latch cycles. Bi-Directional locking action, hooks travel upwards and cams travel downwards for increased security against lifting the door. Security tested in accordance with PAS24 and prEN 1627 – 1630 to classes 2 & 3. G-TS lift lever and W-TS split spindle door lock for single and double doors with bespoke one piece striker plates. Hook and cam locking combination. Smooth operation and central lockcase. Fast and simple to fit single piece profile related strike plate. Produced from high quality 'U' steel profile. New design hook bolt and cam for increased security and compression performance. High performance Maco silver chromate surface protection system. Cycle tested in accordance with PAS23 to 50,000 full operations. Currently under test to DIN 18251, part 3 to class 3 - 200,000 latch cycles. Lockcase detail the same as G-TS Lift Lever Locks. £1000 excess cover - Maco will pay your insurance excess up to £1000 should burglars breech Maco locks specified by Bahama. Just some more of the added benefits of using Bahama Windows for your double glazing!!!! !